Quality window shutters effectively block and absorb solar heat during hot weather leading to lower cooling bills for the home. When fixed along the window trim, interior shutters also reduce heat loss during cold seasons. If your plans involve making your home more energy efficient, installing plantations shutters on all of your windows will help you save money on your heating and cooling bills. Having plantation shutters installed will allow you to keep the harsh sunlight and heat out of the house during the summer, as well as keep you and your family warm and cozy all winter long. During more temperate seasons, like Spring and Fall, you can control airflow, which helps to regulate the home’s temperature. Simply by adjusting the louvers, you might be able to put off turning on the AC or heat a few weeks longer than you expected! Read more to see how interior shutters can lower your energy bill. Interior shutters installed on windows leave some space between the shutter and the window, which creates a barrier. The shutter is structured in such a way that it hinders hot air from escaping out, and cold air from getting in during the long winter months. The longer the heat is retained inside the home, the less heat will be required to keep the home warm. This reduces the need to turn up your heater, and thereby reduces energy consumption during cold winter months. In the summer months, plantation shutters can help keep your home cooler as a barrier to the harsh rays of the sun and add to the energy efficiency of air conditioners. 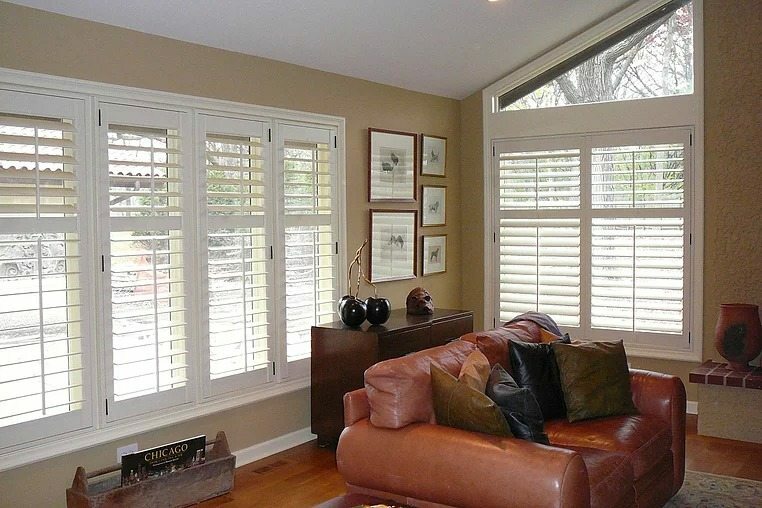 Interior shutters are best known for their larger light regulating louvers. The louvers allow for better heat and light control. Louvers come in a variety of sizes from 2 inches to 4 inches allowing more light to come in and a larger viewing area based on the size of the louvers. In the same way sunshades work in a car, interior shutters block sunlight when the louvers are closed. They can totally block out exterior light sources and the sun’s rays. They block intense solar radiation instead of absorbing them into the home. This reduces the amount of heat retained in the house during warm weather conditions. Interior shutters work to insulate a home by preventing interior heat from escaping through the windows, and interior shutters stop up to 50% of radiant heat transfer. Shutters are a thicker material than blinds, and this helps make them more energy efficient. They tend to retain your home’s temperature that is otherwise affected by poorly insulated windows and provide better insulation during both cold and hot seasons. 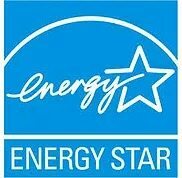 Plantation shutters are energy-efficient: The Smart Energy Alliance reports wood shutters offer R-values between 2.77 and 3.17. Interior shutters from Peach Building Products Doors & Windows are custom-made and sized to be excellent insulators, barriers, and light regulators. Window coverings enhance privacy by controlling how much of the home is visible from outside. Peach Building Products Doors & Windows has a wide selection of window coverings to suit your needs. We have blinds, roller shades, roman shades, honeycomb shades, and other window covering options in different styles, functionalities, colors, and materials that complement any space. To find your perfect window or door covering solution, contact us today at 801- 566-1255 today! Free In-Home Consultation and 0% Interest Financing Available up to 2 years! This entry was posted in Shutters. Bookmark the permalink.